There are a lot of good free roam games on PlayStation 4. The genre may not be universally praised these days, but a great open world game can really pull you into an experience like few other genres can. Typically boasting huge sandbox environments for you to explore, open world titles roared onto the mainstream scene during the last generation, and since then, they've been expanding, growing, and evolving thanks to more powerful hardware. In truth, this is a difficult list to put together. 'Open world' is a very broad term -- now more than ever -- but we like to boil it down to its base meaning: 'open world' applies to any game where you're free to go off and do your own thing. You're not always tied down by a story or stage progression, and there's optional stuff to sink your teeth into. As such, this list focuses on the open world aspect of each included game: how cohesive the open world is, how enjoyable it is to explore, and how it improves the overall experience. 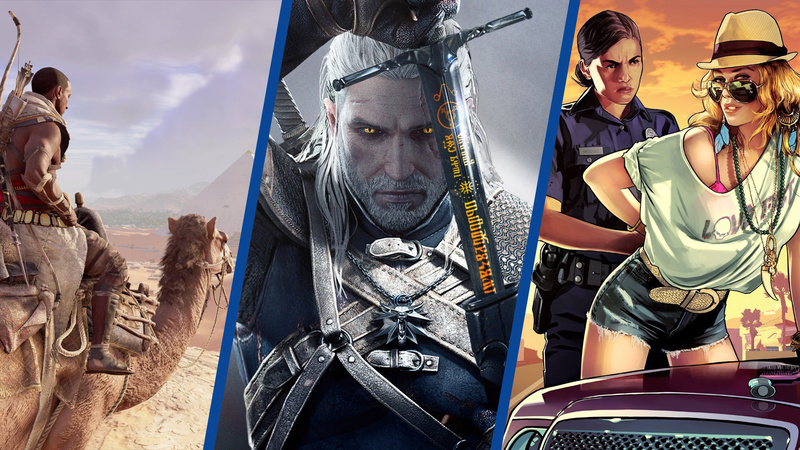 Without further ado, here are the 23 best open world games currently available on PS4. This remaster of the open world arcade racer proves that there's life in Burnout yet. It's still incredibly fun zipping through city streets and mountain roads at ungodly speeds, and Paradise City is a perfect vehicular playground. With hidden areas, ramps at every turn, and hundreds of events to tackle, it's also stuffed with things to do. Throw in Big Surf Island and the online multiplayer, and there's near endless fun to be had in this generously sized open world. 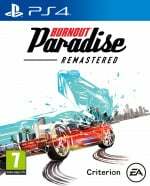 Whether you've played it before or are new to the series, Burnout Paradise Remastered is relentlessly entertaining. You can’t play NieR Automata without feeling like there’s subtext in every facet of its design, and that expands to its open world, too. Whether it’s the monochromatic space station that serves as 2B and 9S’ base hub or the abandoned theme park that some machines have assumed as their home, the role-playing release’s sandbox plays a huge part in shaping your emotions throughout. This may not be the most elaborate setting on the PS4, but its visual variety and impact on the narrative make it stand out. Dragon Age: Inquisition sees you travel to various open world environments as you look to right the wrongs of a troubled fantasy setting. Some tedious fetch quests can drag the overall experience down at times, but they don't take away from the game's stunning scenery and richly detailed locations. There are some truly wondrous sights to behold throughout Inquisition, and each area has its own unique feel and charm. Loads of secrets ensure that exploration is well rewarded, too. Seattle may be best known for being the birthplace of grunge, but there’s no such grime in inFAMOUS: Second Son’s glittery rendition of the Emerald City – apart from that which is supposed to be there. As one of the smaller sandboxes on the PS4, the drizzly urban environment has less scope to impress compared to the enormous alternatives also available on the console. 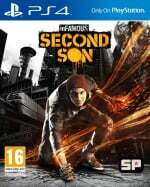 But it succeeds in serving as a stellar playbox for protagonist Delsin Rowe’s powers, which see him sprinting up the Space Needle and gliding into China Town with ease. Stretching back to the launch of the PS4, Assassin's Creed IV: Black Flag still offers a unique open world to explore -- mainly because most of it is water. 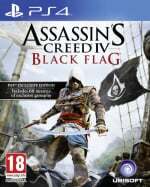 Taking to the seas as the captain of your very own pirate ship, Black Flag encourages you to pillage your way across the Caribbean, soaking its crystal waters with the blood of your enemies. A selection of lovingly crafted port towns are also on the agenda, should you get a bit seasick. Good list. I really need to check out Dragon's Dogma and Nier sometime. 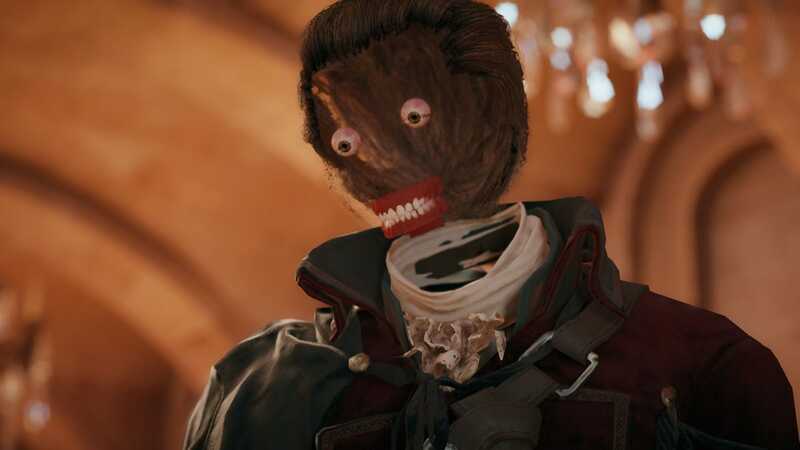 The lack of AC: Unity is terrible though. And it inFamous should be higher up. I'm also surprised to see that Horizon wasn't higher, I haven't played it so I can't say, but given all I've heard I was surprised at what as above it. Yes I've played both Just Cause 2 and 3. Both were a lot of fun... for about 2 hours. Then it just gets boring for me. Ghost recon and dying light would be in the top 10 for me. Both had really well done open worlds for the games they were. @ShogunRok Is that really a screenshot from Unity?! I never played it due to the poor reception but I had no idea it was that buggy. @Jaz007 Dragon's Dogma is good fun. The acting is corny and the game can feel a little stiff in places but it's approach to fights and the various enemies make the game great fun. @ShogunRok The games been patched though (no one can deny issues at launch), and I don’t think I’ve seen a open-word more alive and vibrant. It’s a brilliant recreation of the French Revolution with everyone going about their daily activities. The detail is mind boggling. Besides, I don’t see people toss PS3 Skyrim out the si doe for that reason. Heck, AC: Unity pathed is probably better than PS3 Skyrim ever became in technical terms. @ShogunRok "... it’s not hard to immerse yourself in Guerrilla Games’ fantasy world." Should be Guerilla Games' SCI-FI world, there's a difference you know. I'm currently making my way through the Assassin's Creed games just so I can get to Origins. I'm playing Black Flag at the moment and it's superb. Any game which features sea shanties as collectibles was always going to be a winner in my book. Surprised to see Watch Dogs 2 so high up. Quite enjoyed the first. Thought the second added very little other than more obnoxious characters with some of the most cringeworthy dialogue I have heard in a long time. Above Skyrim as well? Each to their own I guess. I don't like many first person shooters, but Dying Light & Far Cry 5 are my favorite! 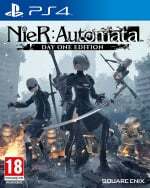 NIER only 19th ??? But whyyyy ?? Like Jaz007 wrote, they have patched the game really well, especially on console. The above picture is from the pre-patched PC version, if I remember correctly, which is the platform that had the worst version of the game at launch. The best open-world games to me are mainly those I can have simple 'fun' in. I'm not really looking for realism and such, I just want something rather simple and fun to explore. So for me the best open-world games for the PS4 would be:, Yakuza 6, Yoku’s Island Express, Grow Home, Jazzpunk, Blackhole. Metroidvania games, explorative puzzle games and platformers in general are also very high on my list. Lots of great games here that I ought to get. Nice to see Horizon Zero Dawn high up on this list, but I would have put Nier Automata much higher than 19th (I really need to find the time to play more of it). @DLB3 Horizon is definitely fantasy. If you're going to do an amorphous flying evil computer virus soul, you're in fantasy territory. @Octane I was just nitpicking. But since we're into the discussion, I still wouldn't call Horizon a fantasy game because of that one element when everything else is grounded in science fiction. The Witcher 3 is obviously a fantasy game, but there are some sci-fi elements in there, doesn't really make it a sci-fi game though. @DLB3 I'd say that for it to be sci-fi, it needs to be grounded in a certain ''realism'', if it doesn't do that, it's not science fiction. The Witcher 3 doesn't do that, so it's obviously fantasy. Same is true for Star Wars for example. I think that Horizon has a lot of fantasy elements, so that makes it fantasy to me. A fantasy game set in a post-apocalyptic setting. @Octane Well that's where our differences are, for me science fiction isn't grounded in a certain "realism" but instead grounded in something that's POSSIBLE, usually through technological achievements. Not matter how likely to occur or not, that's why it's science FICTION. I think the world of Horizon Zero Dawn is possible if technology gets to the point where we can have machines like that. Our personal definitions differ, so that's where we have to agree to disagree, but just so you know, Guerilla themselves have described it as a science fiction game. I've never heard them mention fantasy. @DLB3 Oh, I agree with you on that. The machines aren't that farfetched, you could make something like that. But it's just the little things like the elemental arrows (especially freeze arrows), those cables that seem to spawn like vines, the floating virus soul I mentioned earlier. It's just the small details that are definitely fantasy based, and to me that makes it more of a fantasy game than a sci-fi game. @Octane I strongly disagree when you say it's "more of a fantasy game". You said it yourself, it's the small things, it's not what the game is grounded in or what makes the world of Horizon what it is. Again, the Witcher has small sci-fi elements, but the world is grounded in fantasy. Did I mention Guerrilla describes it as a "sci-fi action rpg"? Don't take it from me, ask them lol. But of course everything isn't going to be 100% one way or the other, plus it's still a video game, not everything can be explained. You can nitpick small things in The Last of Us or GTA or any other video game for that matter and call it "fantasy". To me it's sci-fi (or realism if there's no focus on technology and science), unless it does something that doesn't fit that label. In that case it's fantasy. You can have a 100-hour game set in a realistic world, but if there's one small part where a witch shows up and uses a magic spell, it's fantasy to me. That's why I would classify both TW3 and Horizon as fantasy games, as both games have fantasy elements, regardless of how big the focus is. A science-fiction game should have no fantasy elements at all IMO. @Octane I agree with your first paragraph, but what is fantasy? For me, it's wizards, elves, magic, and things like that. Non human characters and things of that nature. Everything in Horizon is either based on technology or is tribalistic because of the post apocalyptic nature of it all. @DLB3 It's like Star Wars. Everything is kinda realistic, except for the force, that's just pure magic. The same applies to Horizon I think, the machines and all are mostly believable, but there are a few things that are fantasy, the flying computer AI was the biggest culprit. Suggesting that if such a thing is possible, there is some kind of magic/supernatural in play. @Octane Eh I don't know, still doesn't seem like something in the fantasy genre. There are things that also are a mixture, I believe Star Wars falls into that category. But we'll have to disagree on Horizon, our definitions, or at least perception of both differ too much. Things we normally associate with fantasy do not exist in Horizon despite some things we can't really explain. Something not being realistic doesn't automatically make it fantasy. The Walking Dead has zombies in it, not realistic, but it's not fantasy either. @Jaz007 Kinda surprised that you feel that AC Unity should be on a best of list after that launch. While yeah they did patch it, it shouldn't have been released in that state. Make way for Red Dead..
Not sure how to feel about that placement of NieR. The open world aspect of it is pretty poorly done, but I'm liking pretty much everything else about the game. A great list. Great, not perfect. The Witcher 3 deserves every good thing ever said about it and no doubt should be number one. I'm no fan of GTA, but I feel like it should have been a little higher on that list, at the very least it should've been rated higher than anything made by Ubisoft. @Ralizah Yeah, with NieR being one of my all-time favorite games, I bristle when I see it only at #21, with so many more formulaic and pedestrian games in front of it — dominated by a horde of Ubisoft games that all do the same thing. The list includes a couple games I just couldn’t even bring myself to finish in Black Flag and Dragon Age Inquisition which had open worlds so pointlessly conceived as to make it a chore to even make it through the game. But you’re right, when judging NieR strictly as an ‘open world’ game, then I might have to concede that it’s not the most stellar representative of the genre, even if it is head-and-shoulders a more satisfying experience than the rest of this list. So it’s hard to argue the placement, even if it’s a better game than 90% of these others. Looking at this again, and this isn’t saying anyone is wrong (sole will like one more than the other), but why is Horizon lower than AC: Origins? Didn’t everyone (including staff on this cite) like Horizon more? Was the open-world aspect specifically, or what did it? I thought No man's sky might make the list as it's about as open world as it gets and a lot of fun in a zen kind of way. I find it hard to stop playing when each solar system is a randomly generated sandbox, especially with the constant flow of new content. It's stigma from previous iterations doesn't enamour it to praise I guess but I still love it! @ShogunRok Reading the recent article about the Platinums earned in Spider-Man and the addition of AC:ODC to this list got me thinking. 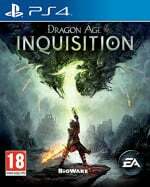 Given the sheer size of the new AC game is the Plat massively difficult to earn? @Th3solution Still, even then, putting it under FFXV with its vast tracts of nothing and constant enemy reinforcements throwing your party into disarray? @roe In at number 1 with a bullet, no doubt! @Ralizah Yeah, I haven’t played FFXV yet, but my impression is that the open world is not very well developed. I still plan to play it one day though. As for Fallout 4, I just haven’t the interest to even give it a try. @Tasuki and @Jaz007 The are a few games I haven’t bought because the review says thay have lots of bugs. I don’t think I’ve ever gone back and pick anything up after it has been patched. How would you ever finding out if a game that was broken at launch is fixed now? @Ryall I would ask look online and ask people there. You can ask people here, and you could also look on gamefaqs, just be prepared to deal with much less civility on there and many more trolls. There is a good chance of it having the information though. Fallout 4 beat Horizon Zero Dawn? What? RDR2 is one of the most stellar open world games I've played. @sketchturner I love both but I think there's much more content in Fallout 4. @Rash I even thought the hunting was going to be average or as stale as Trevor's in GTAV but RDR2's hunting is so quite addictive and satisfying. The graphics especially makes it a joy studying animals and then you chance upon and inspect some strange site deep in the woods while tracking some elk. Fallout 76 didn't make the cut? Technically, I think Rockstar's attention to detail in their games is leagues ahead of anybody else. I did think Ubisoft's Bolivia in Ghost Recon: Wildlands was impressive, though, especially the sheer size of the map. From a combat perspective, I think Horizon: Zero Dawn is the pick of the bunch. Taking down those dino machines was a joy to play. The Witcher 3 is still my favourite, though. @TheArt Amount of content does not equal fun gameplay. I'll take quality over quantity any day. Horizon is my personal #1, because huge frickin' robots > everything else. Plus, no online and no MTX. I’m surprised to see Far Cry 5 on here. From everything I’ve read, nothing about it stands out as the best in the series. RDR2 at number one!? Lol. You guys.